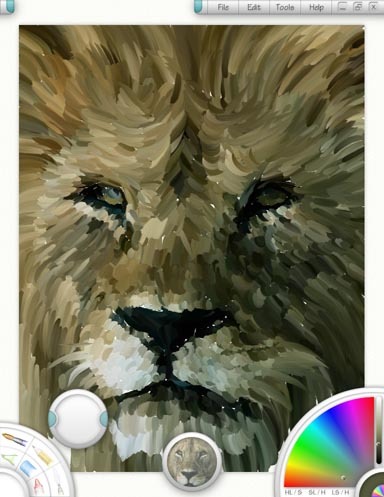 ArtRage is a painting package designed to provide a realistic and fun simulation of using paint on a canvas, along with pens, pencils, crayons, and other tools. You can run ArtRage on a normal Windows machine with a mouse, but it works particularly well if you have a graphics tablet. Even better, running it on a TabletPC takes advantage of the unique interaction of pen and screen to produce a realistic painting feel. ArtRage Starter Edition gives you 8 painting tools and lets you create, save, and print as many pictures as you like and doesn't limit their size. My brother is a professional artist and he loves this program. It works well with a pen tablet and has the feel of real art mediums without the mess of cleaning brushes. Amazing software. It's well written and very intuitive. Useful even for the very young. hell0 - ???. Don't rate apps as crap because they may be mis-labled. Your slobbering effects us all. Go wipe your mouth. Crippleware. Please relabel this crap. A unique thing really. Mind-blowing stuff. You're a g**d*** moron. There are two versions of AR: Starter Edition and Full. Starter is limited by tools one can use, but thats the only limitation (it does not have neither adware nor any banners). If you'd like more, buy the full ver. Next time I suggest you actually TRY the program, before openly showing your idiocracy. ArtRage is simply THE BEST in its class. Even Corel Painter cannot match its speed and accuracy... 5 stars! I've been a digital artist since 1994, and I'd yet to see a program quite like this one. Its painting tools yield amazingly realistic results. Very few programs' free versions have ever influenced me to upgrade to their paid versions, but this one did so very quickly, especially since the paid version is refreshingly inexpensive. If you're an artist, you're very likely to fall in love with this software within a few hours of trying it. It's one of the best programs I've ever used, of ANY type. I thought this download was for the free version, but it's only the patch for the full version. I downloaded the free version, played with it for about 30 minutes, and purchased the full version. It's THAT good. Yepp, simply amazing. To say the least. This program rocks! Nice work! Wow. Never saw such an impressive Programm! Its fantastic, i dont own an Pen-Mouse, but this Programm is too nice. Try it, you will see. Its fantastic, like drawing a real picture. version allows you to work in layers.